Environmental education. 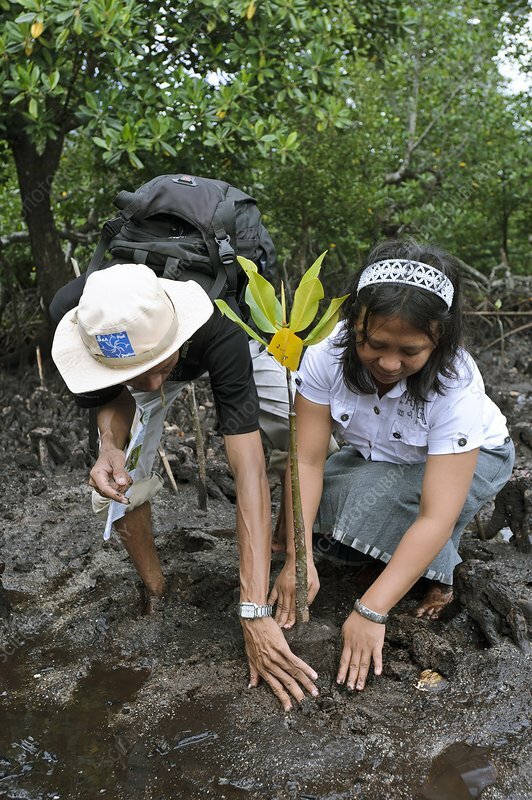 Local villager helping to plant a mangrove (Rhizophora sp.) seedling. Photographed in Dudepo, Bolmong Selatan, Sulawesi, Indonesia.